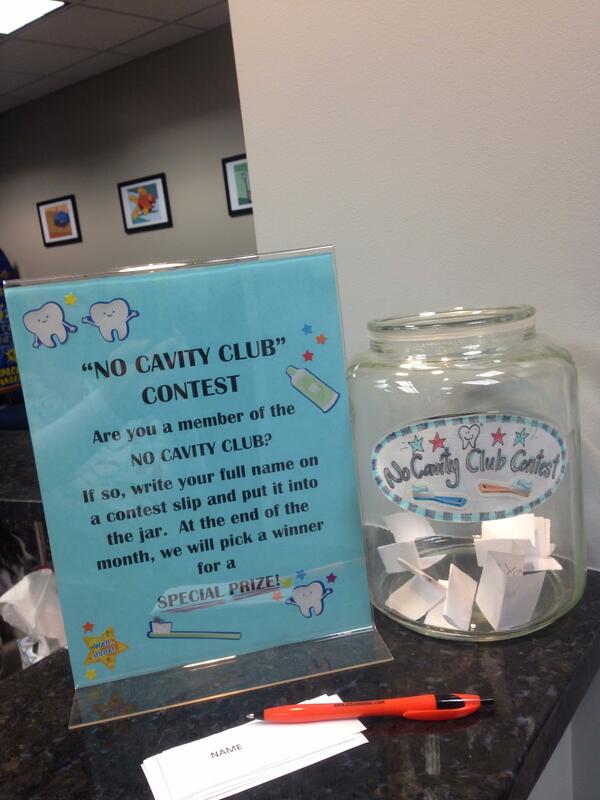 Our "No Cavity Club" contest! 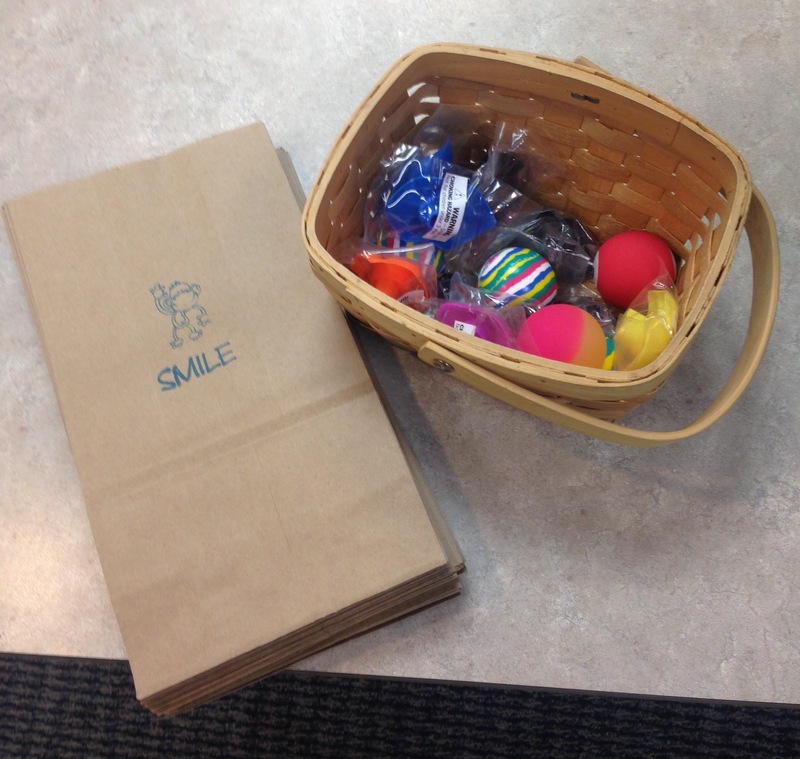 At the end of each month a name is chosen from all patient entries. They are sent a gift card. 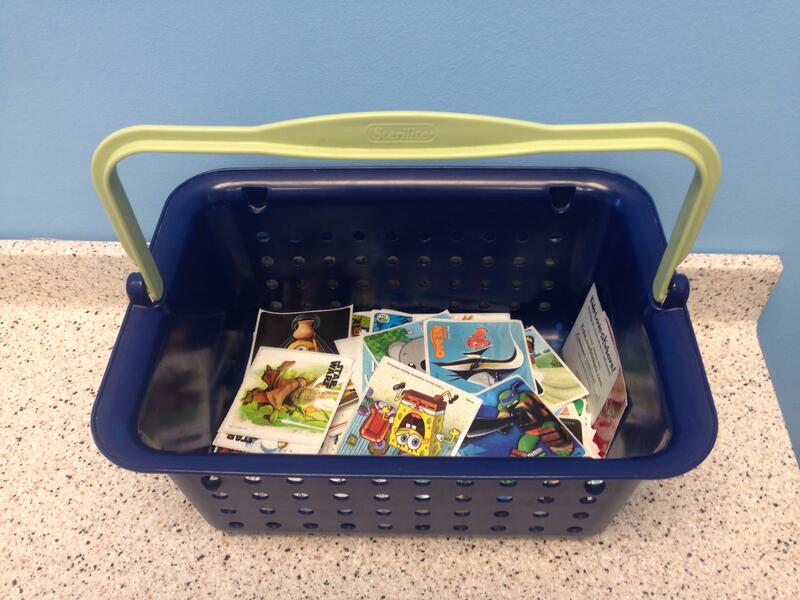 Sticker basket to choose 3 stickers for doing a good job!